A maritime expedition found near Sevastopol the stern of the Russian submarine Kambala (sole, in Spanish), sunk in the distant 1909 during some exercises of the Black Sea Fleet. On May 29 of that year, the submarine ended the maneuvers of night attacks when it collided at the entrance to the South Bay of Sevastopol with the warship Rostislav. As a result of the incident, the submarine was ‘split’ into two parts and sank to a depth of more than 60 meters. Three officers and 17 sailors died in the accident. Now an expedition organized by the Russian Geographical Society, the State University of Sevastopol and the Naval Superior School Admiral Najimov managed to determine the place where the tragedy occurred more than a century ago. 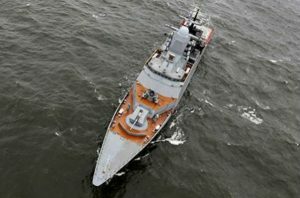 “The cadets of the Najimov School calculated the coordinates, with the help of a lateral sonar, they established the place, the stern of the ship is at a depth of 62 meters with an elevation above the ground of three meters,” he explained to Sputnik Víktor Lebedinski, researcher at the Russian Institute of Oriental Studies and member of the expedition. “It is planned to study the object with the help of deep-water robots,” he added. According to the scientist, this incident is considered as the first catastrophe in the history of Russia’s submarine fleet. The company in 1909 was shocked after hearing the news of the sinking, given that this submarine was one of the three large built in Germany for Russia. The Kambala had 50 meters in length. 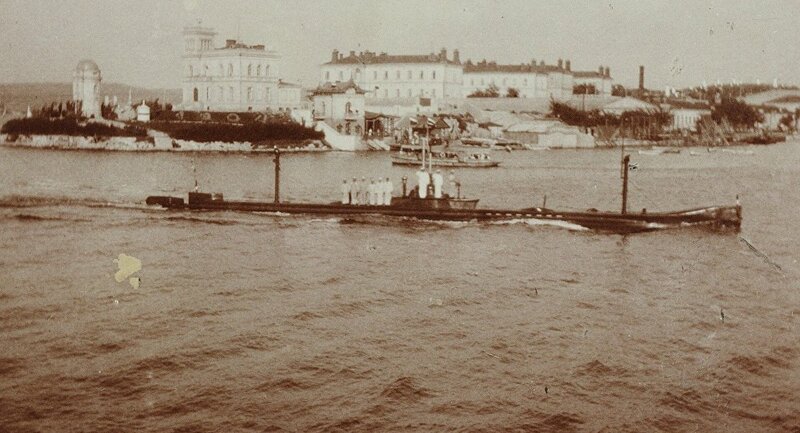 In the summer of 1909, the bow of the submarine with the bodies of 15 sailors rose to the surface, of which 12 divers were buried in the military cemetery of Sevastopol.